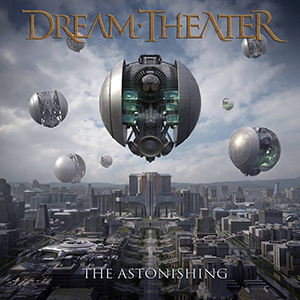 Dream Theater’s thirteenth studio release, The Astonishing, is a grand, double-album, concept story that, if reduced to a single sentence, tells the fantastic tale of a future, dystopian America in which a great battle is waged using the magical power of music. It is not a metal album to be sure; rather it is more a progressive rock, musical theater experience than anything else. It has been widely referred to as a rock opera, though that conjures up thoughts of The Who’s Tommy when you should really be thinking more along the lines of Pink Floyd’s The Wall and Queensryche’s Operation Mindcrime. And while it does have plenty of musical excursions that are true to the band’s reputation for unattainable musical dexterity, The Astonishing is dominated by melodic passages of piano, acoustic guitar, vocal harmonies, and full orchestral accompaniment. Listening to The Astonishing and reading the story offers merely one part of this fantastical tale. This time around, seeing and experiencing the concert performance must be regarded as a necessary part of the experience, even if you have to fly to a major city to catch it. We experienced the, ahem, majesty of this show at New York City’s famed Radio City Music Hall on April 14, and the visuals were truly spellbinding. 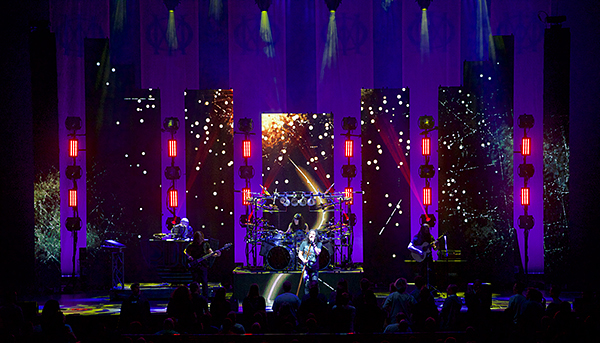 The current tour is truly a musical theater performance—it’s not another Dream Theater concert like the past few you’ve probably attended. There are two acts, just as on the record. The Astonishing is performed in its entirety, set to a video story of sorts. There are no back-catalog songs. There is no opening act. This is a mostly sit-down, theater experience, and it’s well worth the experience. 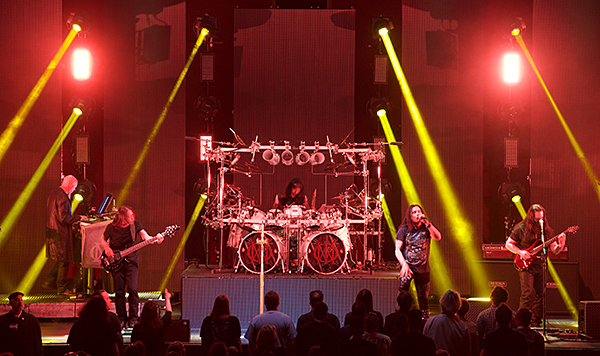 This truly is… a Dream Theater experience. Lighting effects are cut spectacularly into the video presentation, which is striped across multiple, towering display panels (and underneath the drums riser, too). At times, the band seems almost to be flying through the story! And because the shows are limited to fine concert halls, you can expect excellent sound reproduction as well. Click here for the astonishing John Petrucci interview. Click here for the equally-astonishing Jordan Rudess interview.